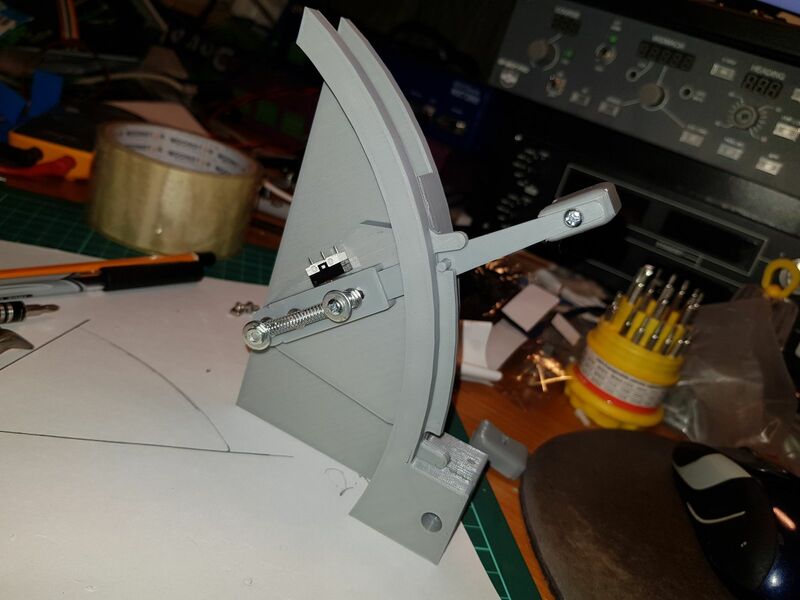 737 Throttle Quadrant - Fuel Cut Off Levers | Life, The Universe and ... Everything! The micro limit switches I ordered arrived today (10pcs Micro Limit switches for USD1.29 with free tracked shipping at that!). This is for the fuel-cut of lever of my 737 Throttle Quadrant. The spring forces you to lift the lever upwards to move it, when it is in end position it engages the switch. 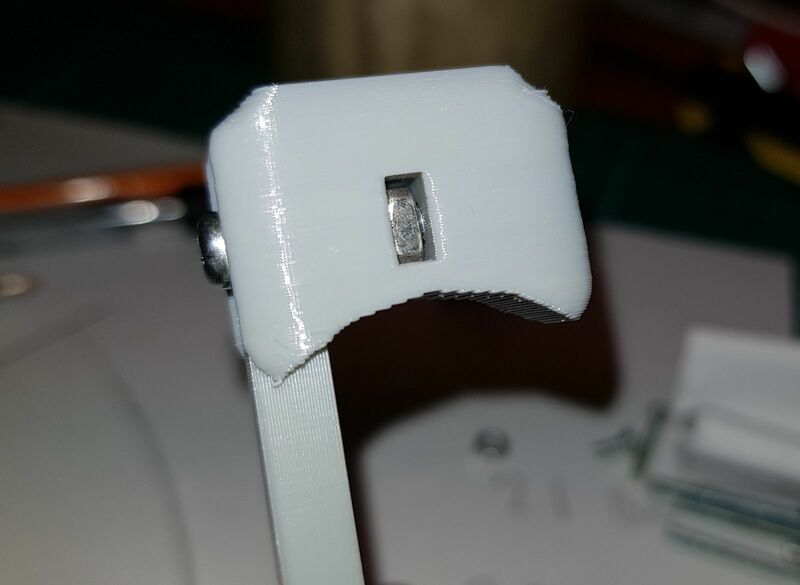 This part has got me a bit irritated because to get the lever to fit through the slot, I have to print the handle and the lever separately, and then after fixing the lever into place, super-glue the handle to the lever (well there's a bit more to it than that). So once it's done it can't be undone ... 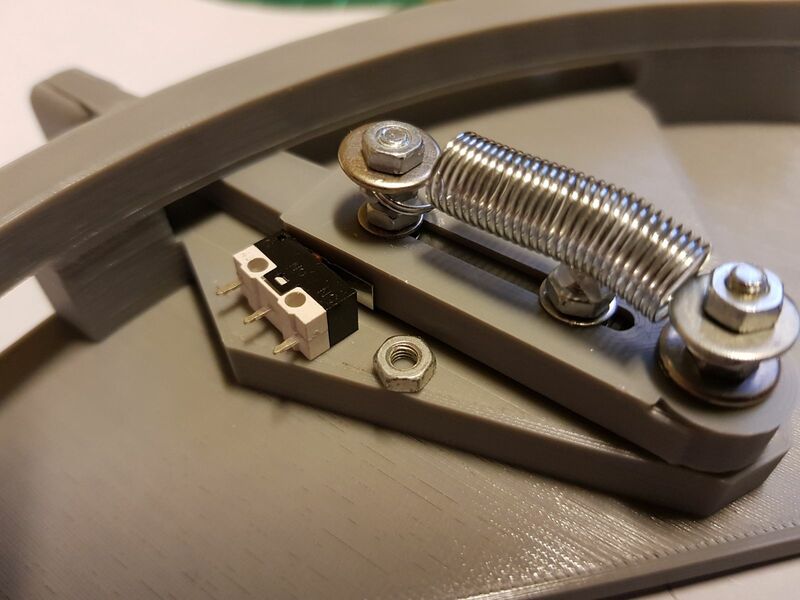 I just have to break it and print another lever. At some point I am going to wish I designed the whole thing in 3D myself rather than start with a half-completed downloaded model. This way, the bolts screw into the the nuts from the top ... which makes them removable. You need square nuts so that they can fit in a square hole and not rotate freely. I also used a shorter spring for more tension. I also change the design of the handle to use a caged nut inserted into it from the bottom. This makes the handle removable from the lever. That little nub that fits in the gate is still superglued in-place though. I didn't position the switch accurately enough and there was some "give" in the lever, causing the switch to occasionally cut out. You wouldn't want fuel flow to your engines to behave this way. 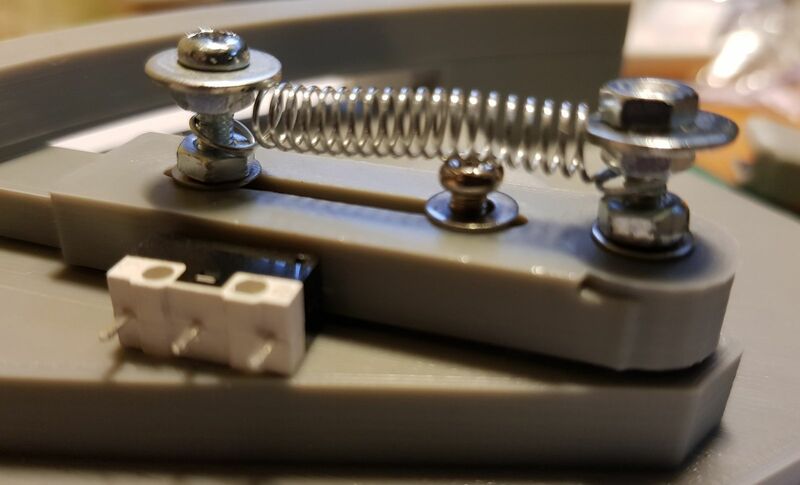 I Fixed that by glueing a piece card to the side of the lever that faces the switch.